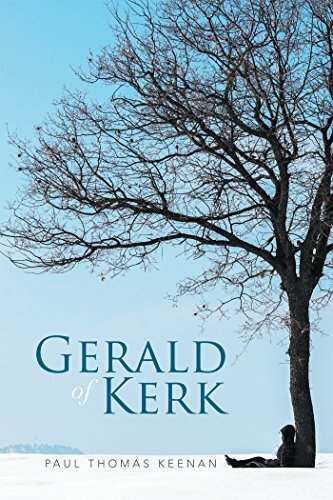 Gerald of Kerk was an interesting read. I can’t say I have ever read a book that was written quite like this one; seemingly a fictional biography of the main character, Gerald. Although rather than covering his entire life we only read from his late grade school years until around his senior year of high school. At first, I was little confused with the progression of the book because it didn’t seem to be reaching any sort of a climax or striving toward any particular purpose. Come to find out, the book would continue this way and end this way as well. Actually, I was surprised to have found myself at the end of the book and kept thinking I was missing another chapter, at least. I think I would have to say that overall, the entire book felt similarly abrupt. For instance, in the scene where Gerald exhibits a bit of bravery in going to rescue his bicycle from the neighborhood bullies, I felt a little letdown because the build up to this scene was emotional and the outcome was not what I expected. That’s not to say it wasn’t good, I just feel it could have been less abrupt and more fulfilling for the reader. But then again, the fact that Gerald’s experiences aren’t over the top and dramatic is what makes the book so relatable. The charming aspects of the story are the childhood memories and experiences of Gerald that the author takes us through. I think that the feelings and thoughts and experiences are very familiar and relatable to the average reader, and they make the story compelling enough to be a page turner. While the writing could use some polish the story and characters are written well enough to be touching. The relationship between Gerald and his childhood friends is the focal point of the story, as is his developing sense of self and morals. I really ended up loving Gerald’s character for his common sense and tendency to do the right thing even in the face of peer pressure. I think this book would be a great read for pre-teens, boys and girls alike, because it does a great job of illustrating how your life will not be ruined if you don’t always join the crowd. By the time Gerald reached his teenage years I really felt invested in his story and wanted to know what he would make of himself in college and beyond. I guess this is why I was a little disappointed with the story’s ending point. I could be wrong, but I feel like there has to be a Gerald of Kerk Part II on the way. If there was, I would definitely want to read it.